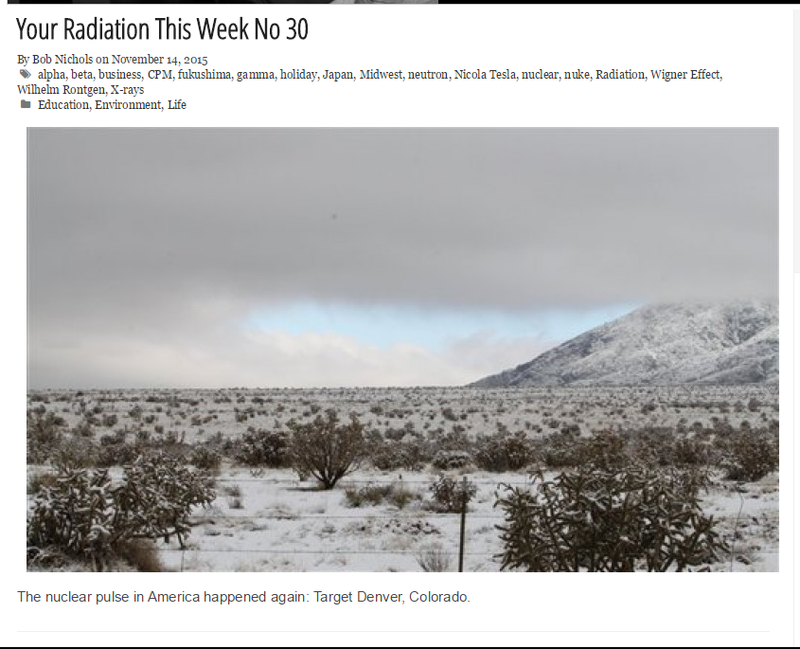 (San Francisco) Nov 14, 2015 – Good Day, this is “Your Radiation This Week.” These are the recorded Radiation Highs that affected some people this week around the United States. You should compare the Rad numbers directly with the Rad numbers in with my articles listed on the VT Author’s Page here: http://www.veteranstoday.com/author/bobnichols/ and below. It is also linked to my name at the top above on every article. Thirty (30) cities exceeded 1,000 CPM this week. Another ten (10) cities are clustered between 999 and 900 CPM. Stay Alert and take all appropriate precautions. The most prevalent isotope, Cesium 137, takes a daunting 600 years to decay to infinitesimal levels. It is not even particularly long-lived radiation. The Cesium will remain, though; we won’t…. Nuclear Pulse Redo – Target Denver, Colorado. Another nuclear pulse struck in Denver, Colorado November 13, 2015. The rapid increase in measurable radiation had the same Rad signature as….